India, the land of the enchanted, with its varied cultural practices, is tied together by the invisible commonality of its exotic cuisine. It is celebrated for the variety of its dishes based on the artful combination of spices developed over many centuries. Let us thus embark on a culinary journey through the rich traditions and delicate flavors that symbolize the sub-continent. 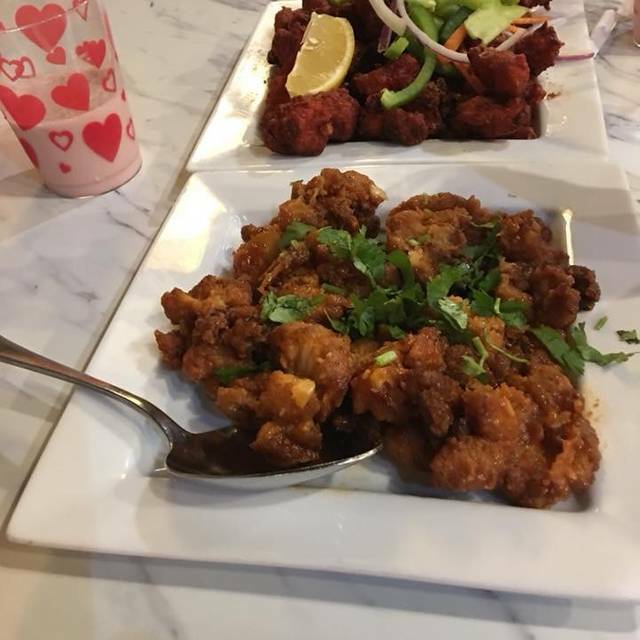 We at THE TASTE OF INDIA offer a richly-varied menu of high quality ingredients, wholesome curries and house toasted spices and spice mixes. All of our food is freshly-prepared on the premises with a lot of attention to detail. It is our hope that you leave us satisfied and with a desire that keeps you coming back. The service was excellent, the food even better. 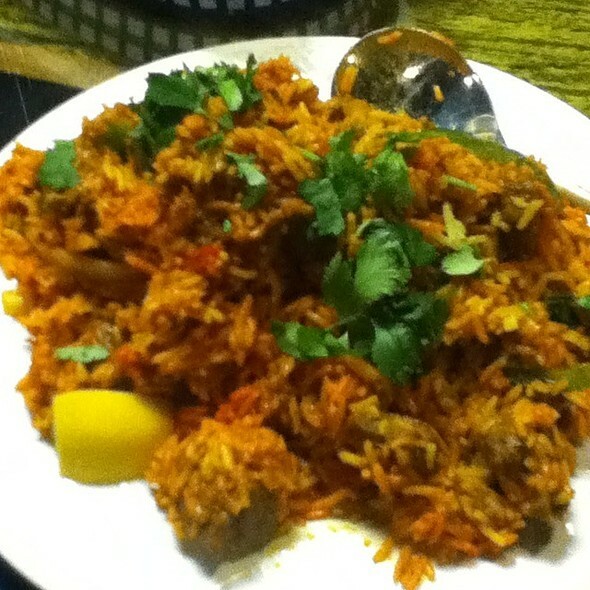 The chicken biryani was some of the best I've had stateside. Aesthetically, I was a little nervous to enter. The restaurant is a bit shabby on the exterior, and entering didn’t make me feel much better. However, we were greeted warmly and immediately shown to our table (a paper reserved sign had been placed there) by a pleasant gentleman. A lovely woman came shortly after to offer suggestions, answer questions, and take our order. She was great! The food arrived and it was super-the entire family was happy! My husband thought he’d show off and ask for his food “spicy,” and regretted that decision as he struggled through his meal. The kind woman offered to remake it or to add cream, which he declined. I would definitely go back-I just need to remember to look beyond the physical building. This is the third time we've been to this restaurant and as always seems to be the case, the Staff and food were of the highest quality. The food is amazing and the service is so personal and amiable...we loved this place and the food. Easy access from downtown PNS and ample parking. Recommend the curries and the butter chicken. The naan breads are fresh and tasty! Yummy! Try the garlic naan with anything! From the greeting as we entered till we left everything was great. Food was fresh & delicious. Service was excellent & quick. The owner of the restaurant had a great conversation with us & also gave us some great suggestions on places to visit. Absolutely amazing!!! Let them help with your food selection as this is their thing! Wonderful staff and extremely friendly. A must try place. 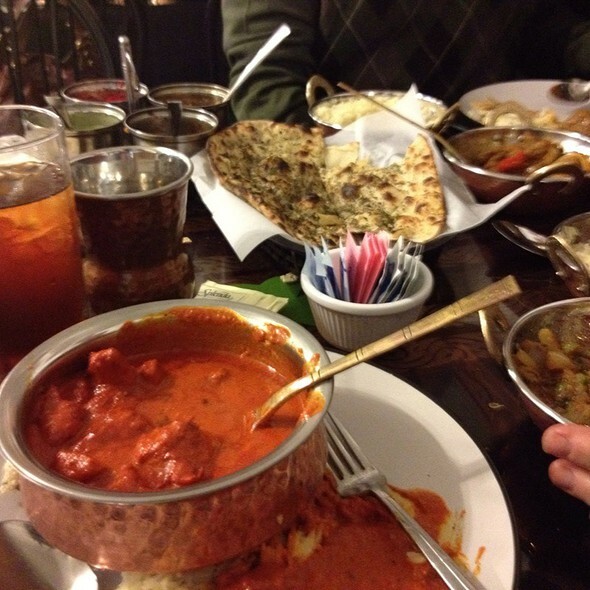 A Taste of India is a real jewel in the Pensacola dining scene. 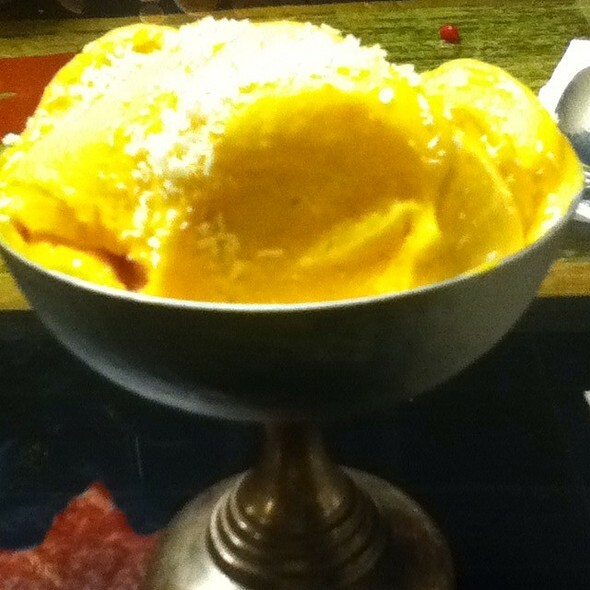 The flavors of India are carefully crafted to deliver flavor that is some of the best I’ve ever had. The lamb chops out of the tandoor were succulent. 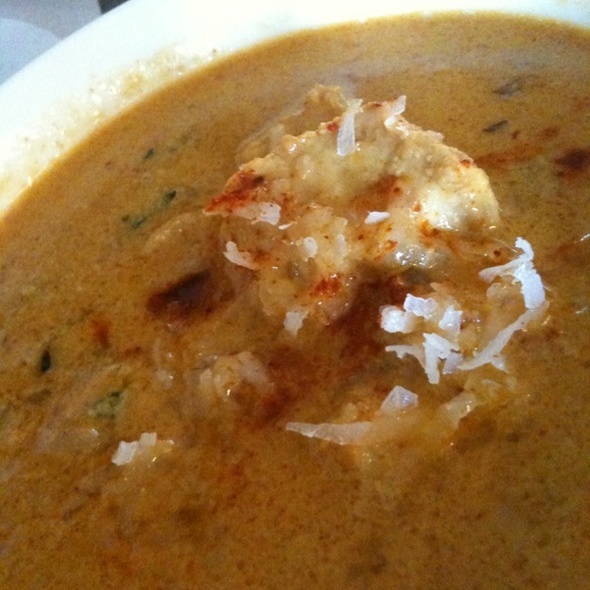 The curries were flavorful but not overdone. The service was welcoming and helpful. I can’t wait to go back. I think I have a new favorite restaurant in Pensacola. We always have a wonderful time when we visit. 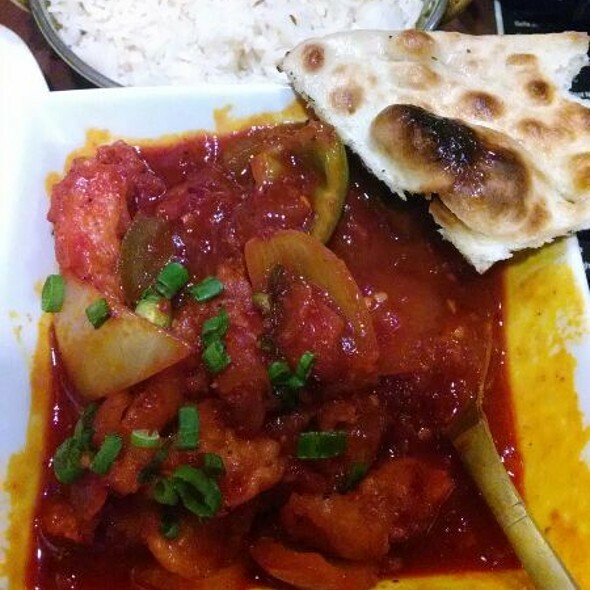 The warm, friendly staff and excellent Indian foods are always greatly anticipated and never disappoint. Taste of India has been our standing date night on Valentine’s Day for the past four years. Authentic food in such an unlikely place! Love it, best Indian in town for sure. This is the first time I ate here. I am new to the area and friends recommended this place. The food was wonderful. The Gobi Manchurian (crispy cauliflower appetizer) was DELICIOUS. I ordered the Nellore Curry for dinner. It was extra, extra spicy...loved it. It will be a regular on my dining list. On top of the delicious food, the service and staff were wonderful and gracious. Saenger. Rudy and Food were impeccable. Wait staff great. Some nice wines. Will be back. From NYC. Eat Indian Food weekly. Don’t sleep on this wonderful place. 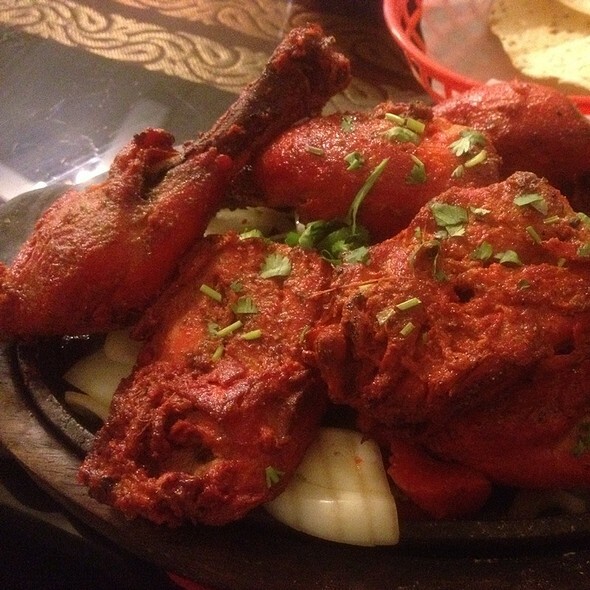 Great restaurant, food, service and Indian cuisine right here in Pensacola! Family dinner after travel day on a wedding weekend. Met all our needs, including GF member who can only eat out at Indian restaurants. Friendly server/owner (?) who made recommendations and nice wait staff who served drinks/food. Would prefer table cloth and nicer dishes, but food was good. Wonderful meal at Taste of India. I'm a huge fan of Indian food, both at restaurants and at home, so my standards are pretty high. This place exceeded them. First time dinning at an Indian restaurant and it turned out to be a pleasant surprise. Did not know what to expect. The food was delicious and service was excellent. The food and the service was great like it always is. I had out of town guest and i wanted to take them somewhere "different" for dinner. Well..we had a MARVELOUS dining experience. As soon as we walked in and i gave my name for the reservation, we were immediately escorted to our table by the host of the resturant. After we perused the menu's for a few minutes, he came over and talked to us and asked us about our dining experience at Indian resturants. We all said we were "novices". He then preceded to tell is a little history about some of the items on the menu. Anyway..bottom line..LISTEN TO HIS RECOMMENDATIONS!! The food was delicious, service was very attentive..and the resturant host made the evening "an experience "! Don't miss this place! Upon our arrival, we were greeted and seated quickly. The staff was friendly and the specials were explained before we ordered. Drink service was prompt and the food arrived in good time. Dinner was delicious! We ordered the mixed tandoori grill and chicken biryani, Wonderful! I will definitely recommend this restaurant to others, and look forward to returning myself. I highly recommend this place if you like authentic i dean food The service was very attentive and timely I definitely will go back! One of our favorite restaurants in Pensacola!!!! Very friendly staff and the food is amazing! This place is great. My wife and I were in the mood for dinner other than the normal beach cuisine. We were greeted by a friendly gentleman and seated. The menu and spices were explained as my wife isn't into spicy hot. The appetizers came and were wonderful. Dinner was excellent as well. The staff was attentive, knowledgeable and professional. We highly recommend giving The Taste of India a try if you are looking for an exciting mix of great Indian flavors. The staff were friendly and personable. Atmosphere was good. Our table was ready for us when we arrived 15 minutes early. Food taste great. They explain the food and how you should eat it extremely well. I absolutely adore the bread and how authentic the food and atmosphere is. Amazing prices and amazing time! Very good; staff very helpful with menu and suggestions were spot on. Stop in for authentic Indian food, very tasty. Four of us shared 5 dishes and a wonderful cucumber salad. Goat, lamb, chicken all tasted great. The service was wonderful and or server provided suggestions that added to our experience. We spent a good bit of time after our meal chatting and never felt rushed to depart. On a trip from New Orleans to Tallahassee, we took a short detour to eat at Pensacola's Taste of India. It was well worth it, due to the varied, prepared daily spicing and high quality ingredients. Owner took the time to explain the menu, which included many old standards, as well as some new to us dishes. This is now our choice as the best Indian food south of Washington, D.C. The portions are large and the delivery rather quick. So order judiciously or take food home for a great reheated lunch. The food was delicious and we received a very warm welcome! We will definitely visit again. The food had the perfect amount of flavor for me without being too spicy. Great food and wonderful staff! The owner was very personable; he helped us choose our meals and chatted with us after dinner. Overall, fun experience! We will be back!! Our family of 5 went here when we visited Pensacola last week! The butter chicken and naan bread were wonderful! Rather unexpected, but great Indian in Pensacola! Tried a new Indian beer and the waiter had good suggestions. The portion sizes left enough for some leftovers. Took my girlfriend and her family here for her birthday. Atmosphere and service were great! Not too upscale, yet not too homely. Wait staff was super friendly and helpful, and the owner made some excellent suggestions. The food was well prepared and authentic. Spicy and delicious. Definitely recommend to others as well as plans to go back. This was my first time here. The waiter explained the menu very clearly an offer details of the special. When asked about recommendations he offered his opinions and they were spot on. The lamb shank special was delicious!